It’s the season of giving and while Tech N9ne’s Gift Of Rap 2012 Concert promises to give back to the community, Strange Music is going to give a few lucky fans a one of a kind VIP experience – it’s a gift to Strangeland! 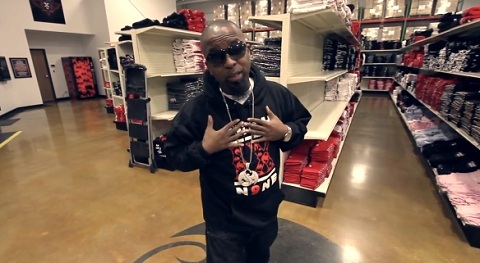 On December 7th at the Independence Events Center, Tech N9ne and Strange Music bring you the Gift Of Rap 2012 Concert featuring performances from Tech N9ne, E-40, Krizz Kaliko, Kutt Calhoun, and Rittz. All proceeds benefit Harvesters: Community Food Network and Love Fund For Children. Fans who donate 5 items at the door will get 10 dollars off at the Strange Music merch booth! VIP purchasers will be entered into a drawing and 10 lucky fans will get to party it up with Tech N9ne in a VIP BBQ suite catered by Gates BBQ! Don’t miss this incredible opportunity to help out a good cause and be a part of the biggest Strange Music experience this year! CLICK HERE TO PURCHASE VIP EXPERIENCE PASSES FOR THE GIFT OF RAP 2012!